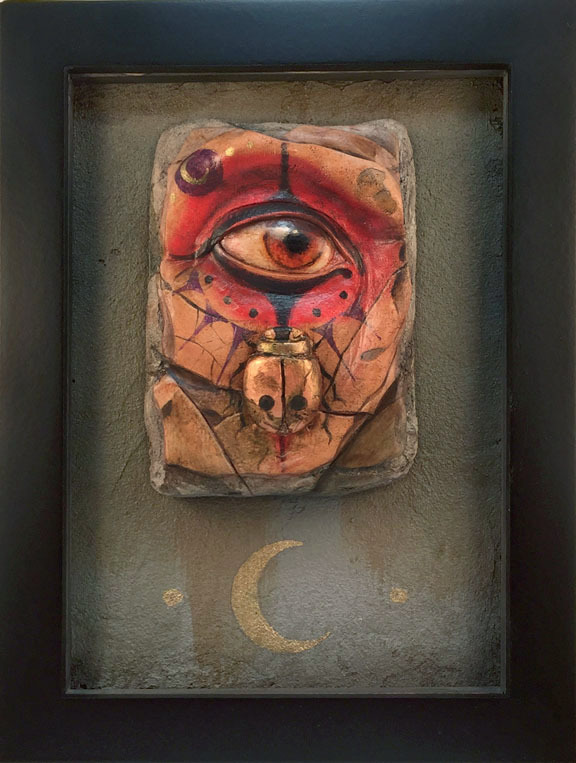 “Eye of a Necromancer-Copper Beetle” approximately 4x3” mounted on a 7x5” textured surface and set in an 8x6” black frame. 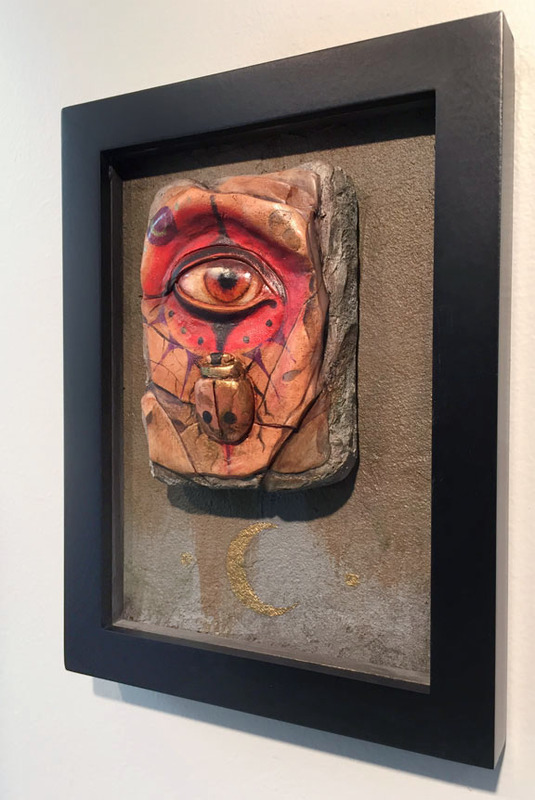 Wood, polymer clay, and various acrylic media on panel. Ready to hang and become part of your own collection of imagined history. $325.00 +$20.00 shipping.